Remember the early days of Microsoft Powerpoint, where creating a slideshow meant dragging photos and WordArt around on a slide, choosing between unsophisticated transitions and sounds like “whoosh,” and of course, saving your creation onto a CD or floppy drive? Thankfully, things have changed. If you are looking to make a slideshow these days, there are tons of apps on the market that will help you do so. Some are available only for iOS or Android users while others are available to both, and some are also available for the tablet, PC or Mac desktop users. In general, with slideshow apps as with life, you get what you pay for. All of the apps on this list have a free version, but to unlock premium features and remove pesky things like watermarks or photo limits, you will probably need to download the paid versions. It's up to you to decide how much — if anything — you want to spend. Read on for our picks of the best slideshow apps available today. PicPlayPost has tons of features and allows you to overlay artistic layouts on your photos and videos when using the slideshow path. It is available for both Android and iOS. They have integrated GIF stickers from Giphy and allows customizable text with font and animation. But the best features come with the pro version. Top features include creating movies up to 30 minutes long, sharing in HD, adding voice-over commentary to your video, and creating automatic slideshows where you don't have to do anything other than select your content. PicPlayPost offers both a monthly subscription service and a one-time purchase. With so many features, it does have a learning curve. For the same reason, this app is easiest to use on a tablet or a large-screen phone. PicPlayPost offers a 14-day free trial on their pro version with a $6.99 a month subscription fee. You can also pay $47.99 annually or make a one-time purchase for $99.99. SlideLab is made for square-format images, which makes it a great choice for Instagram photos. The photo editor itself is of very high quality: there are different filters, transitions, and preset music to choose from but most are only available in the paid version. You can easily rearrange the order of your photos once you upload them. You do not need to crop your photos if you do not want to, unlike with many other apps, although the app only supports a square format ratio. You also can only set a photo to appear for a maximum of three seconds in the slideshow. Upload your videos to Instagram, Facebook, or Youtube directly from the app. SlideLab is available for iOS only. Upgrade to the pro version for $4.99 to get full access. They also offer unlocked transition option for $1.99, movements for $1.99 and remove the watermark for $1.99, making the full pro version a good deal. Dayframe is available for Android devices only. This one is ultra-simple, allowing you to just load up a queue of photos and watch them flip. You can import photos from all of your favorite media sources like Dropbox, Instagram, Facebook, Flickr, Google, Twitter, or any connected photo storage account. You can also play your photos on a TV using Chromecast, and you can allow Dayframe to play random pictures if you choose. If you pay for the premium version, you will be able to set a timer to dim the brightness, create custom playlists to accompany your photos, and even display the weather. Plus you will get an "open an app" timer and be able to remove the Chromecast player logo. 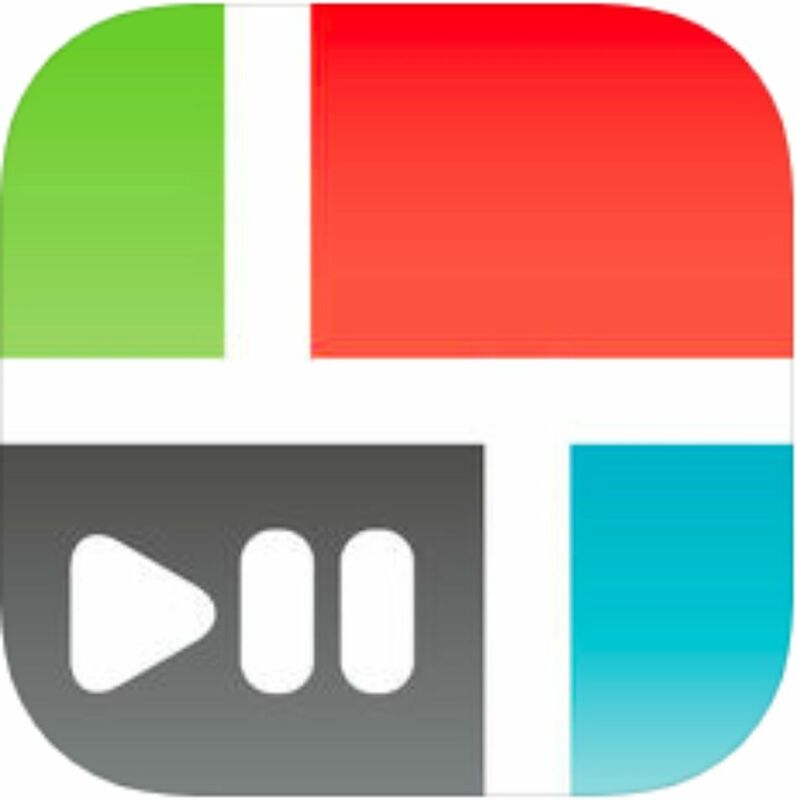 VivaVideo is an app available for both iOS and Android devices. The basic version of VivaVideo is free to use and download. When editing, you can choose between a "pro mode" for more flexibility and a "quick mode" for a faster and more automated version. The in-app camera allows you to take videos and apply more than 60 special effects while you do so. You can add transitions, sound effects, and even dub your video. If you leave the app, your edits will be automatically saved, and you can easily merge videos through the storyboard feature. Unfortunately, the free version of the app includes an intrusive watermark on your videos, advertisements, and a limit to five-minute slideshows. To remove these frustrations, it requires you buy the pro version for $2.99. Movavi has ample options for editing slideshows, photos, videos and more. It is available for PC, Mac, iOS, and Android users. It is entirely free, and Movavi’s video and audio editing give you a pro experience and the option to include high-quality effects and work with many different video formats. You can normalize the sound, record directly from your screen to capture video calls or other activities happening in real-time on your device, and even apply makeup digitally or retouch a photo with ease. There are also cool features like custom captioning. If you want to move up from the free version, the pro version costs $60, though some users have found the tools difficult to use if you are not tech savvy. Slideshow lab offers whimsical preset themes to choose from and an easy interface. They offer many motion templates for you to create a slideshow in different styles including graphics from your favorite movies like the Minions and Spiderman. Whether it is memorable wedding photos or beautiful pictures from your trip, you can always find a template suitable for your occasion. iOS users generally give rave reviews, although Android users report a few issues. You can only upload 12 photos per slideshow, and you can’t edit the images once they have been uploaded. You also can’t upload your own music or post your slideshow directly to social media; it has to be downloaded to your device first. This app is free with ads. To remove ads the price is $1.99. The free version of this app limits you to 30 seconds for a slideshow of square photos and 11 seconds for a slideshow of vertical photos, which is quite limiting. Overall, this will be tricky to use without investing in the pro version. The full MoShow app costs $5.99 a month or $35.99 a year. Scoompa Video is a slideshow and video maker for Android that has an intuitive interface with limited free options. You can easily import from your saved photos or from the web, and Scoompa offers highly customizable slideshows. You can choose from hundreds of stickers to include in your design. Plus, you can import your own soundtrack. It offers easy gestures making the app easy to figure out and navigate. There are lots of text options, including dozens of fonts to choose from. If you decide to customize something, you can modify a video even after you save it. However, saving is a perk of the paid version only: The free version only lets you share up to a minute and a half long slideshow and does not allow you to save your work. To remove the watermark, you will also need to pay. In-app products range in price from $0.99 - $11.99 per item. Our writers spent 6 hours researching the most popular slideshow apps on the market. Before making their final recommendations, they considered 20 different apps overall, screened options from 20 different brands and manufacturers, read over 60 user reviews (both positive and negative), and tested 4 of the apps themselves. All of this research adds up to recommendations you can trust.